Wireless LANs (WLANs) are installed within various environments (indoor, office building, university campus, conference centers, hotels, ...) to provide high data rate connections to mobile terminals. Different air interfaces are defined by IEEE 802.11 (a/b/g/n/ac) for various frequency bands enabling Wireless Fidelity (WiFi). Due to the limited number of carriers available for WLANs, the coverage area of WLANs is often limited by the interference between the different access points. To save time and money, time-consuming and expensive coverage measurement campaigns can be substituted by accurate predictions with propagation models. Based on these predictions, ProMan's network module NET-L offers a convenient and fast possibility for the planning of WLANs. and to determine the coverage area and the interference levels for the whole scenario. Further air interfaces (incl. 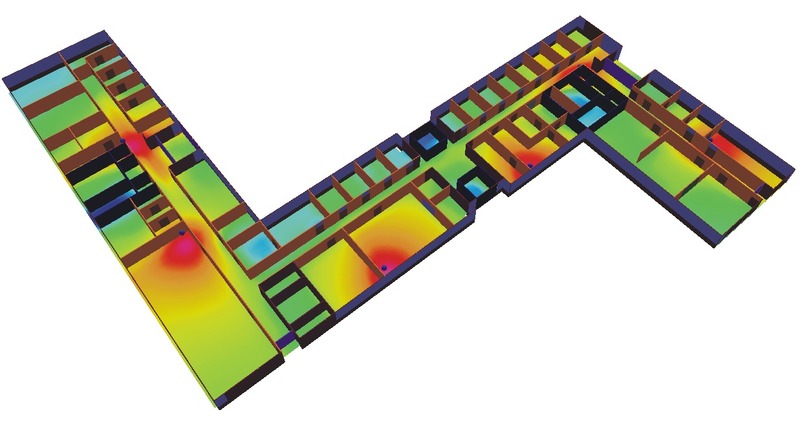 modifications of predefined air interfaces) and frequency bands can be defined by the user. MIMO transmission mode (e.g. for 802.11n) is supported as well as different models for the cell assignment (strongest signal level, best SNIR, etc.). 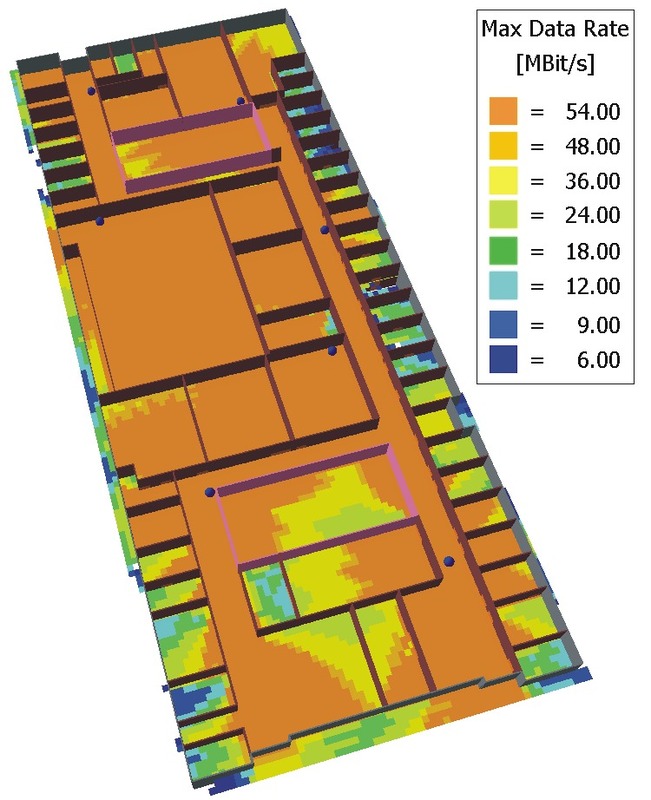 Antennas with arbitrary radiation patterns, leaky feeder cables, and DAS (distributed antenna systems) are available in NET-L to model the WLAN in a very accuarte way. Power backoffs for the cell assignment and the data transmission can be defined for each cell individually (if required). To consider the interference, the cell load can be defined either for all cells (identically) or for each cell individually.